Place du 20 Août is pedestrianised for the occasion. 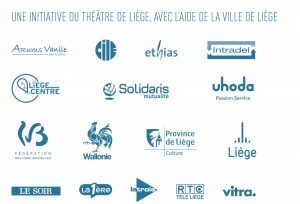 Now a traditional back-to-school celebration, the urban picnic by Théâtre de Liège celebrates its 5th anniversary with a series of activities for young and old alike. A kind of lost little ball, a musical of the cities for discouraged, disillusioned, but enthusiastic Crooners. Outdoor karaoke for sad songs and for people with compulsive fits of giggles. A show by Nicolas Buysse, Jean-Michel Frère and Ditte van Brempt.